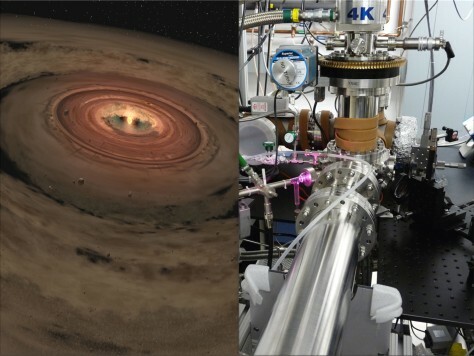 Scientists are brewing up icy, organic concoctions in the lab to mimic materials at the edge of our solar system and beyond. At right: the lab equipment used to create the organic molecules at NASA's Jet Propulsion Laboratory. At left: An artist's illustration of a planet-forming disk.